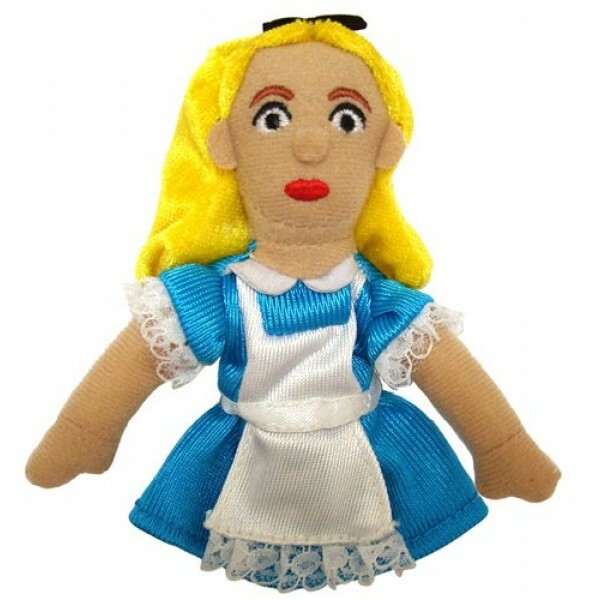 What adventures will you embark on with our magnetic Alice finger puppet? The choice is yours! On your finger, she's a puppet. On your fridge, it's a magnet! This Alice measures in at approximately 4" tall.